PlantSnap : Instantly identify plants of all kinds, anywhere in the world! 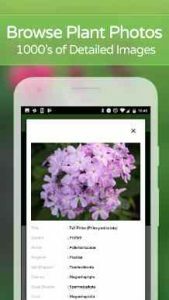 Flowers, trees, succulents, mushrooms and more can be quickly recognized with Plant Snap by Earth.com, the mobile app built to help you identify flowers, plants & trees in a snap. Plant Snap’s huge database covers everywhere on earth so you can identify plants instantly, wherever you are! HUGE update – PlantSnap is now available to download for FREE! With our latest update, Plant Snap is now free to download! Try snapping a plant, flower or tree for free and have your photos instantly recognized by our always-growing algorithm, no waiting required. Learn fascinating information on the world around you like names, location & more for free! Simply take a picture of the plant you’ve found in nature, at the gardening store or wherever you are, anywhere in the world, and Plant Snap will tell you what plant it is in seconds. With Plant Snap, you can reconnect to the natural world around you and learn about nearby plants, or browse our gallery to discover new and exotic plants all across the globe. Whether you find peace and mindfulness from hiking, or if you are interested in studying nature, Plant Snap has the resources and technology you need. Plant Snap is powered by deep learning and artificial intelligence and is changing the game for plant identification. Our plant database is global and always provides results instantaneously. Plant Snap will recognize many of plants or trees that you encounter, helping any amateur or skilled botany enthusiast identify on the go. Identify trees and other plants by snapping a picture! PlantSnap recognizes plants, flowers, trees, succulents, mushrooms, cacti and more… covering ALL plants across planet Earth! PlantSnap will update automatically for you every time we add a new plant species, no additional fees required! Explore nature on mobile, then investigate more on your computer at home! Reconnect with the outside world. Rediscover nature with the help of a botanist in your pocket. Gamify your hikes with friends and family! PlantSnap lets you build a library of every plant, tree or flower you’ve snapped. 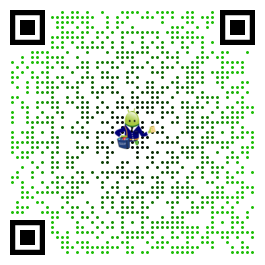 See how many you can collect! Connecting to nature can be good for mindfulness or spirituality. Whether you’re an avid hiker on the trails or a botanist in a garden, quickly gain knowledge of the plants around you. For best results, be sure to watch our instructional photo-taking video. Please check your email after registering for more detailed information. Hello Siti, Glad you liked it. Thanks for being a part of PlantSnap! Please write to support@plantsnap.net if you need help or have questions in the future. Tech support is there 24/7/365!